Indie Retro News: Day of the Tentacle Remastered - Classic Adventure overhaul coming 2016! Day of the Tentacle Remastered - Classic Adventure overhaul coming 2016! 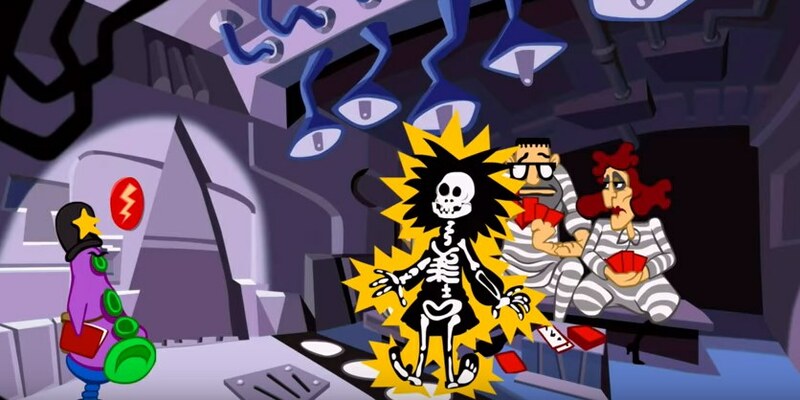 Originally released by LucasArts in 1993 as a sequel to Ron Gilbert’s ground breaking Maniac Mansion, Day of the Tentacle is a mind-bending, time travel, cartoon puzzle adventure game in which three unlikely friends work together to prevent an evil mutated purple tentacle from taking over the world. It was and still is one of the best Adventure games I have ever played, so much so that I was pleased to find out today from Double Fine Productions that Day of the Tentacle Remastered edition which features all new hand-drawn, high resolution artwork, with remastered audio, music and sound effects will be coming to Windows, OSX, PlayStation 4 and PlayStation Vita early 2016!